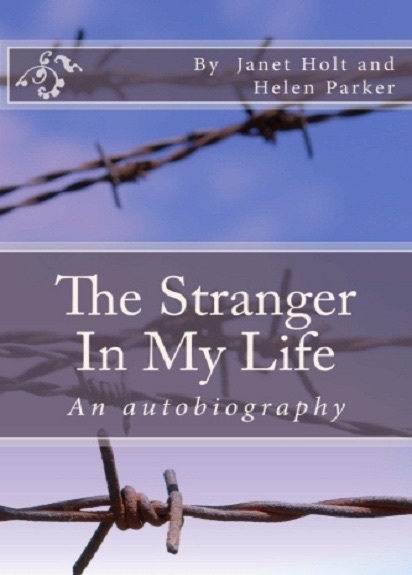 For the full account of Janet’s EMDR therapy session please read the relevant passages in her book, The Stranger In My Life here or here. I have not reproduced the full transcript in this blog post due to the harrowing nature of the text. Janet can’t tell me exactly what happened on that day in March 1976 -yet. She can only give me the bald facts. Instead she tells me her experience of EMDR therapy and how it ‘unlocked’ the truth. “All I remember is seeing Dr Helen’s hand doing this (Janet waves her hand in front of her eyes), and I’m thinking to myself: ‘slow down,’ but you don’t talk; you watch. “‘Just relax,‘ she said, ‘and tell me what’s on your mind‘. I was thinking I was going to tell her about the nightmares I’ve been having all these years but after she did the hand thing, I suddenly found myself back in March 1976 and I remember I was walking up the field at Ball Beard Farm and I started telling her about that instead – and then I don’t remember any more…. I have to restrain myself from reaching across and hugging Janet – but I can tell that physical closeness is not what she wants at this moment in time. I listen intently. I want Janet to tell me more. I want to know the detail of happened that day in March 1976 but I know in my heart of hearts that Janet has to tell me in her own good time. And now is not the time. I ask her then – only half joking – if she can assure me that she isn’t going to run away to Scotland without telling us and she replies that she won’t; she is staying here in Derbyshire, at least until her friend, Mary’s silver wedding anniversary. Janet tells me she will then hitch her caravan to her pick-up with her five dogs and drive 500 miles north for an ‘indefinite holiday’ on the west coast of Scotland. The discovery of what happened at Ball Beard Farm in March 1976 has shocked and disgusted her so much she can think of nothing but leaving the one place she thought she loved more than anything else. “Somewhere nice, somewhere quiet, where the dogs can be out all the time,” she says, in a whisper. I ask how long Janet is going to be away. “For ever,” she says, simply – and with complete conviction.